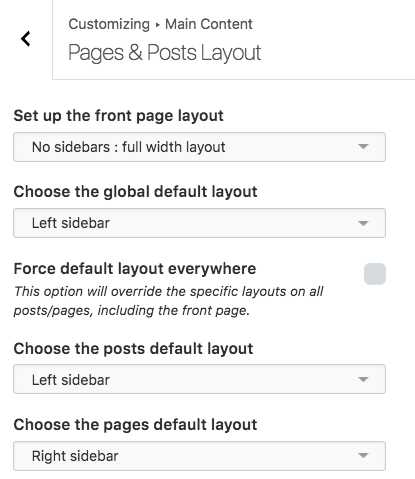 This documentation page will help you understand how to display sidebars in your pages and posts with the Customizr WordPress theme. Once activated, the sidebars can be used to insert WordPress Widgets like your latests posts, a calendar, a Google Map, an additional menu, etc. One column full width. See full width layout demo. Two columns with sidebar on the left. See left sidebar layout demo. Two columns with sidebar on the right. See right sidebar layout demo. Three columns with two sidebars. See three columns layout demo. and for each single post or page. 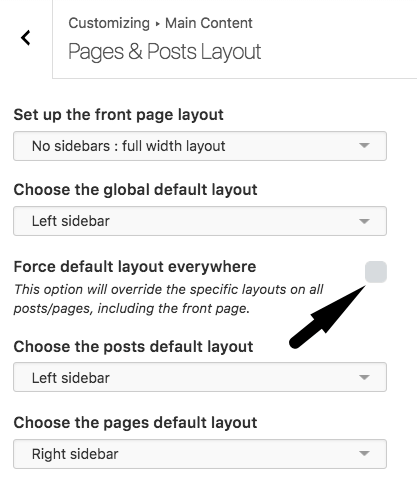 Hint : if you check the Force default layout everywhere, the global default layout will be applied on all your website, including front page and will also override the specific layout set for pages and posts (see below). This layout will be the default layout for all your single posts. This can be overriden by a specific layout set for a post (see below). Note : The maximum number of posts per page selected below the post layout will be applied to all posts list : home page, blog page, archives (categories, tags, authors, dates), search page. This layout will be the default layout for all your pages. This can be overriden by a specific layout set for a page (see below). In the edit screen of each post or page you can define a particular layout in a dedicated box (on the top right corner of the screen). This will override the default layout set in the customizer options but can be overriden if you check the Force default layout everywhere option. 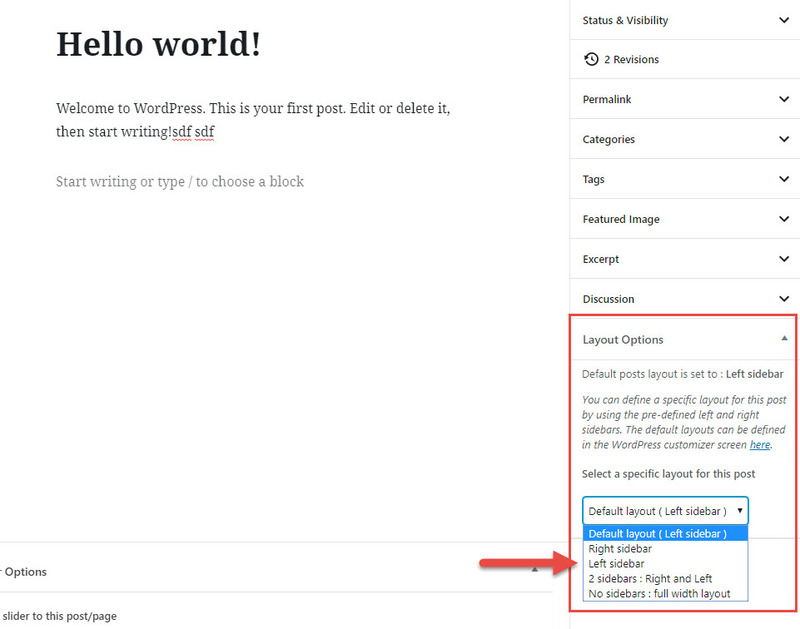 How to use widgets in the Customizr WordPress theme ?